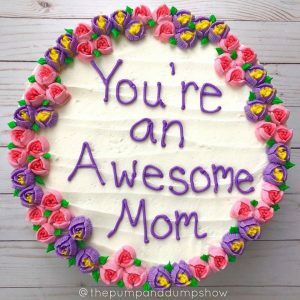 HomeFront Page PostsGiveaway: Win tickets to ‘The Pump and Dump’ comedy show for moms! Who else needs to get out of the house for a good laugh with friends about all those things that can make a mama cry? 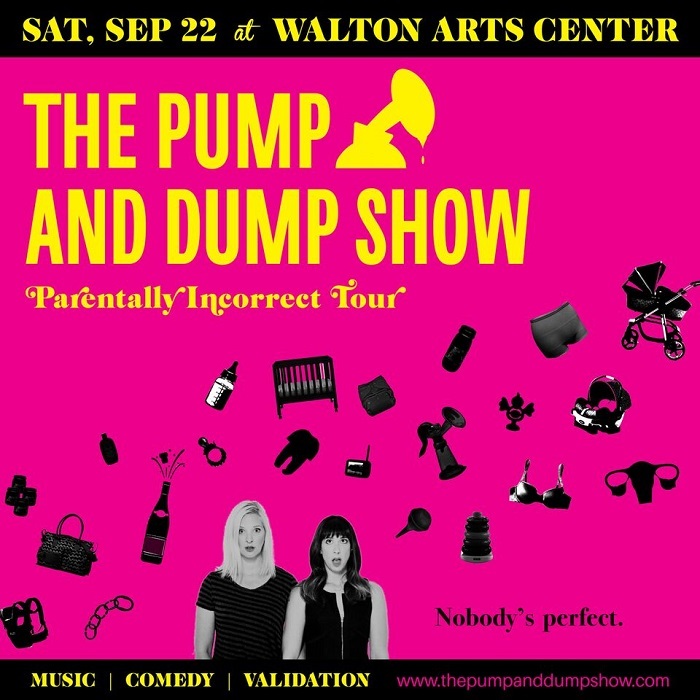 Comedians Shayna Ferm and Tracey Tee will be at Walton Arts Center on Saturday, Sept. 22nd, at 7 p.m. for The Pump and Dump Show, an interactive event filled with original songs, games, prizes — and a much-needed jolt of validation and commiseration for fellow moms. And we’ve got FOUR FREE TICKETS for TWO mamas to win! Each winner can take her bestie for a fun night out at The Parentally Incorrect Tour. Shayna and Tracey have been besties for a LONG time. They had a dream of giving moms a night out, and five years later their little show that started in a bar has grown into a national brand. Those same two friends now tour the country making moms laugh and reminding them that they’re awesome. 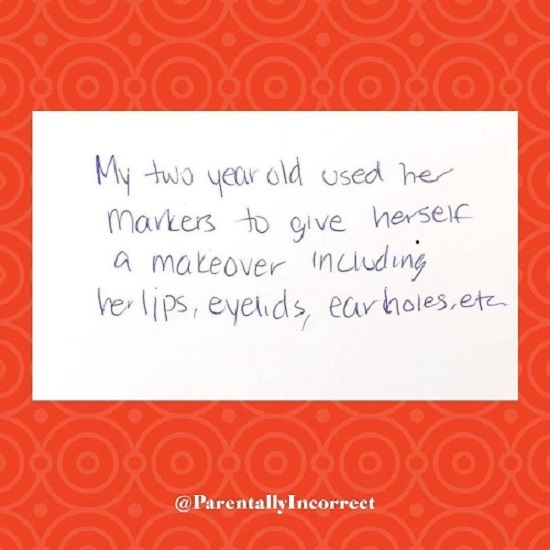 The show celebrates the recent release of Shayna and Tracey’s book, Parentally Incorrect: True Tales by Real Moms About the F***** Up Things Their Kids Have Done. 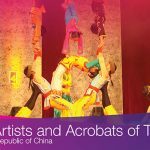 One of the most popular segments of the show has audience members submit their own stories about their children to be read live on stage. This unscripted segment is 100% authentic and unbelievably hysterical. Then write a quick comment telling us something funny your kid did — or said — recently (even if those kids are teenagers or beyond!). Good luck, mamas! We’ll choose a winner on Friday afternoon, so watch your inbox! Click here for more info on The Pump and Dump Show. Tickets are $30 if you want to go ahead and snag some for a GNO. You can also call the box office at 479.443.5600. 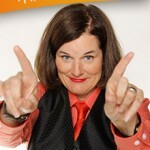 Giveaway: Comedian Paula Poundstone tickets + U.S. Pizza! 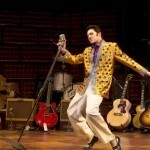 Great Date Giveaway: Tickets to Million Dollar Quartet! When we were about to eat dinner, my daughter and husband were having a discussion and a disagreement. She asked him why was he being dramatic and he told her to just bless the food. Her prayer was “God thank you for everything. Help my dad to be understanding and help him to leave the drama for his mama. Amen”. We were listening to the Ghostbusters theme song and my son said, “Mom! They never tell you their number. How are you supposed to call them?” Bwahahaha! My kids constantly keep me laughing but tonight my 3 yr old picked up his play cell phone and proceeded to talk to his boss, “ugh what now? I will just quit.” Not sure where he got it. When my daughter was 7 yrs old we were in the car while my husband pumped gas. I took the opportunity to breast feed my 4 day old baby girl who was still nursing on demand. As she cried I felt the milk spewing inside my shirt, before i could latch the baby on my daughter turned and had the look of pure horror on her face, finally she shouted “MOM, OH MY LORD SHE BITE A HOLE IN IT! Needless to say, I laughed till I cried and laughed some more. A few days ago, my 2 year old (who has huuuge chubby cheeks and solemn dark eyes) walked up to me and said in all seriousness, “Everything… in my whole life… has been horrible.” I stifled a giggle and asked what he meant, and he said, “Our garage is horrible… Our house is horrible…. Our whole family is horrible…. And our yard is horrible.” I will note that he is normally a very happy kid and none of those things are actually horrible. 😉 It was all I could do not to giggle. When my youngest, now 15, was two he came to the back door yelling momma, momma come here when I opened the back door his hands were together as if he scooped up something, I asked what he had and as he was opening his hands he said “my new friends” there were tape worms crawling all over each other; I asked where he got them and he said “out of the dogs poop” I instantly grabbed his hands, walked to the edge of the deck and started shaking his hands to free the worms while he was yelling “go back home my friends to your poop house”!🤣 we de-wormed the dogs! My 3 year old son said he wanted to feed his baby brother like Mamma does (breastfeed). I told him he didn’t have any milk. He replied, I will have some (milk) to feed him when they (his breasts) get bigger like Mamma’s. A few hours after getting home from the hospital with my 3rd baby, my oldest who was 4 asked why he was crying. I answered that he was probably hungry. He took his hand and told his baby borther “Don’t worry baby, Mom (what my kids called their grandma) is fixin Schikken”. I explained that his baby brother couldn’t eat chicken & he looked at me with a concerned look & asked why? I explained that he didn’t have any teeth. Of course I had to show him that the baby didn’t have teeth.